Perhaps one of the rarest classes of Novelty Irises is that of creped flowers. In these Iris the slowers are crinkled all over the surface much like crepe paper. Perhaps the two best known are 'Zua' and 'Blue Zua' aka 'Elizabeth Huntington'. 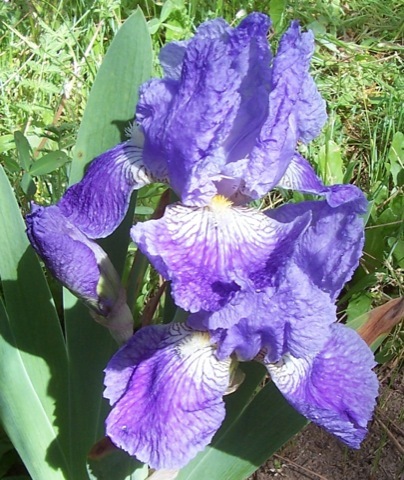 Some old irises displayed this trait as somewhat larger puckering rather than the smaller creping. Perhaps these should be referred to as quilted. Sadly old discriptions often never mentioned the creping or quilting of the flowers even though it is a conspicuous trait. If you are aware of any others please note them.